Kathryn Theresa Randles, born December 18, 1934 to parents Florence and Starr Kissinger, passed away on the morning of Friday, October 26, 2018. She is survived by her daughter Susan (Jim) Lucas, son William (Cindy) Randles, son Jim Randles and predeceased by her oldest son Michael Randles and her youngest daughter Theres (Michael) Steiner. She will forever be remembered as a warm maternal presence to her grandchildren, Beth, Patrick, Jesse, Michael, Jolene, Lacey, Fiona, and Paul. Kathryn also leaves behind her great-grandchildren whose pictures covered the fridge and lined the bureaus. A life filled with ups and downs, Kathryn always had time for others and a story the kept you riveted. A childhood spent in Denver, she traveled across the US and Canada with her husband, Bill, and children. She later spent a few years soaking up the sun in La Paz, Mexico before settling in Seattle to help her youngest daughter raise her grandson Paul. Kay moved back to Denver to be close to her sister Charla after the passing of her daughter, Theres. Kathryn was welcomed into Charla's family and she spent many happy years with Scott, Christie, Glenn, and their grandchildre, Lexi, Spencer, and Jack. 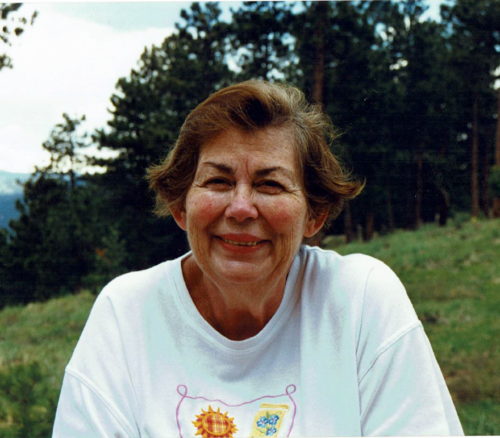 Kathryn's remains will be scattered in the Denver mountains with family present as per her last wishes. Her gracious smile, big hugs, and rebel spirit will be missed. My deepest sympathy to the family and friends of Kathryn. May your treasured memories bring you joy, and may ‘the God of all comfort’ give you strength and a measure of peace for your grieving hearts at this most difficult time.